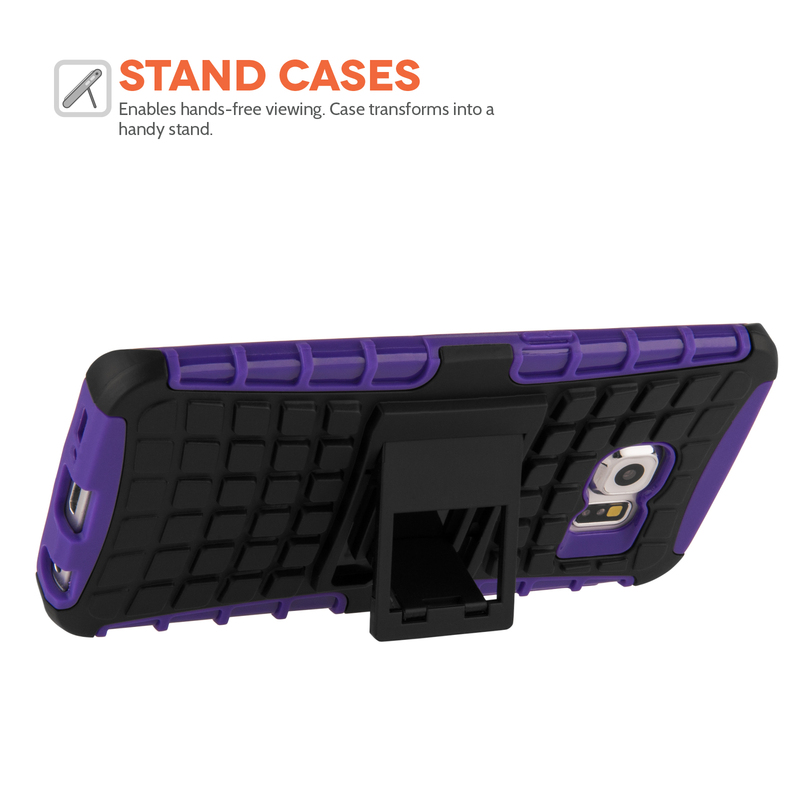 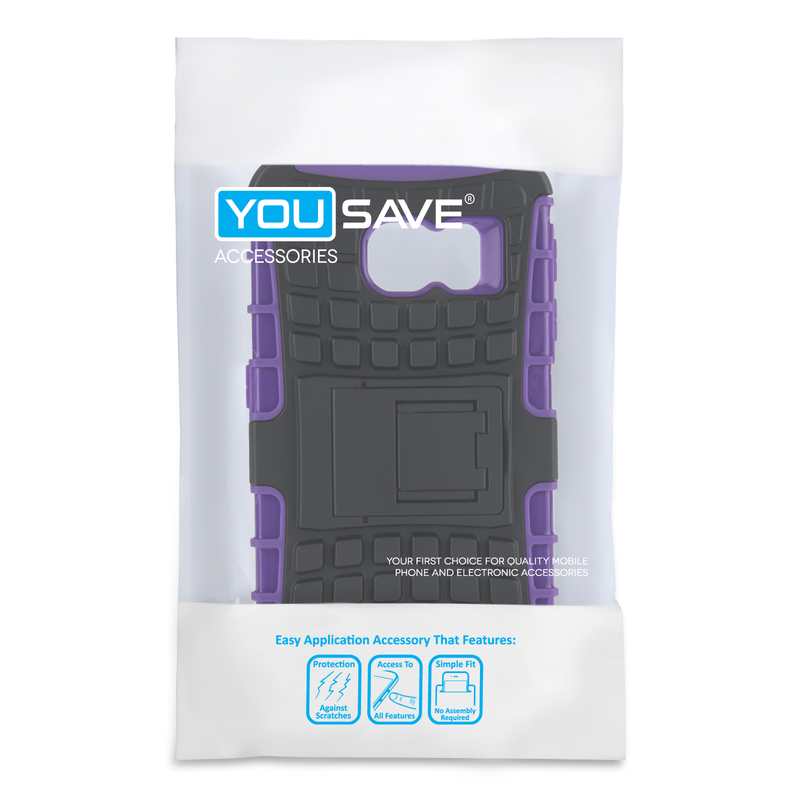 The YouSave Accessories Silicone/Hard Combo Stand Case is an attractive, effective way of looking after your smartphone. 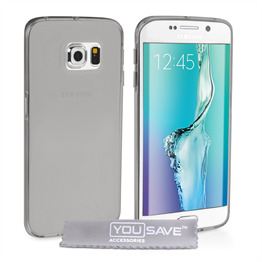 This Samsung Galaxy S6 Edge cover comprises two parts. 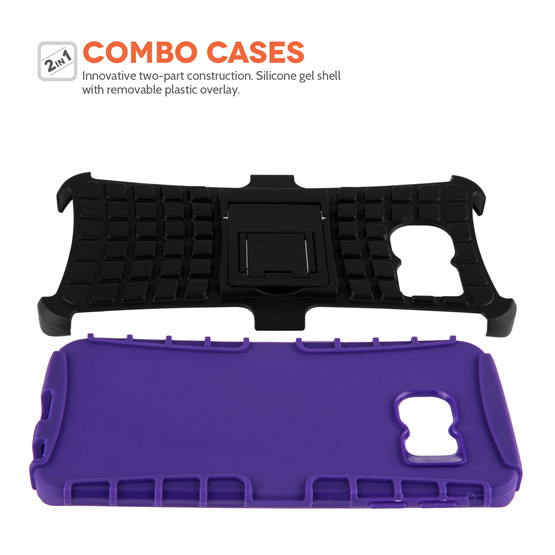 The base consists of a flexible plastic shell that fits snugly around the back and sides of your handset whilst allowing full access to the camera and other functions. 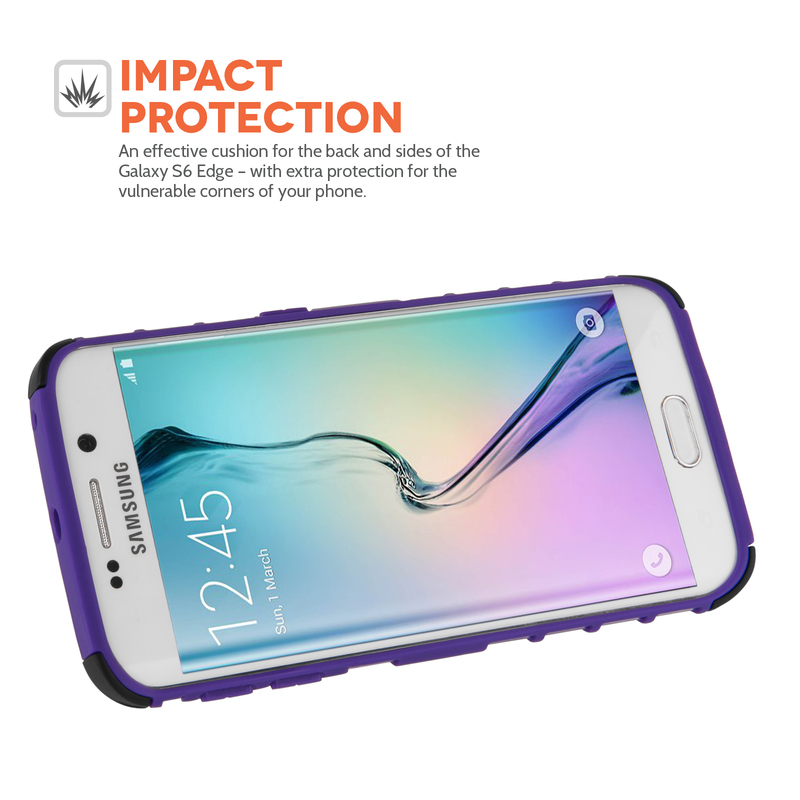 A slightly upraised lip around the edge helps to prevent screen damage in the event your phone is laid flat on its front. 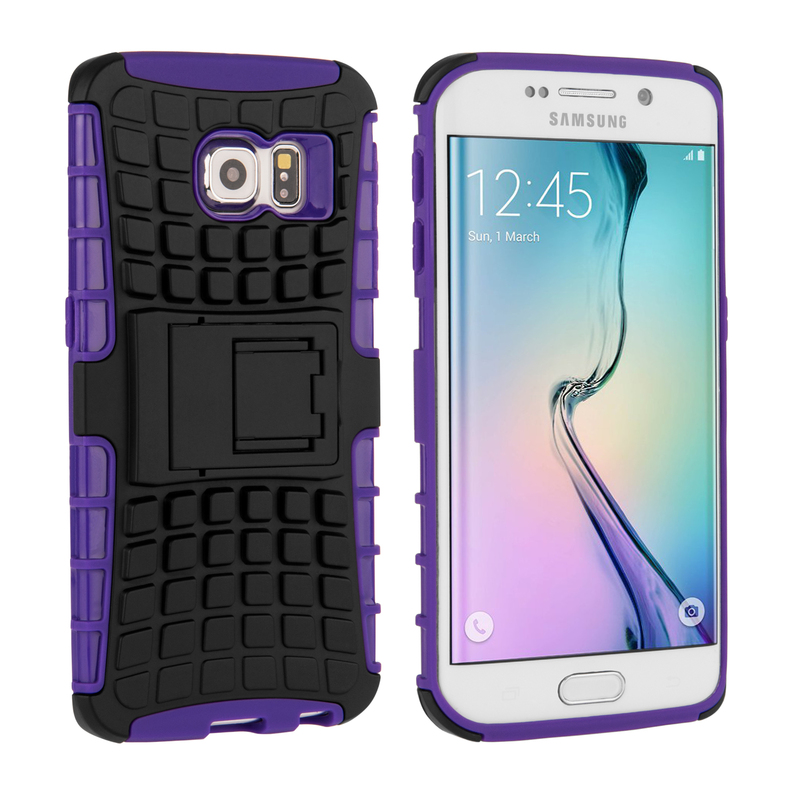 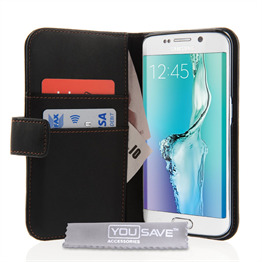 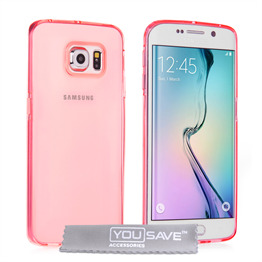 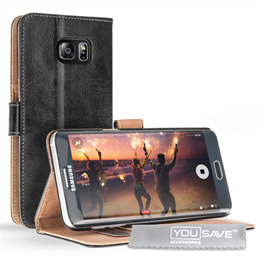 This YouSave Accessories Samsung Galaxy S6 Edge gel case fits easily over the back and sides of your mobile. 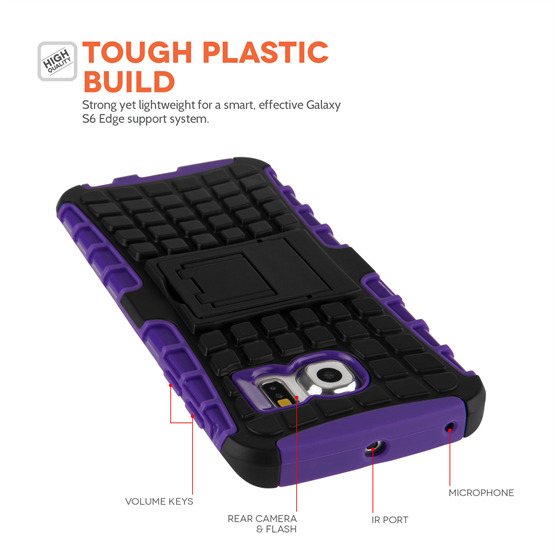 Precisely positioned cut-outs mean you get full access to the ports, camera and screen and the clear finish means you can shield your mobile without disguising it. The case comes with a screen protector.